What do you look for in the perfect travel bag? 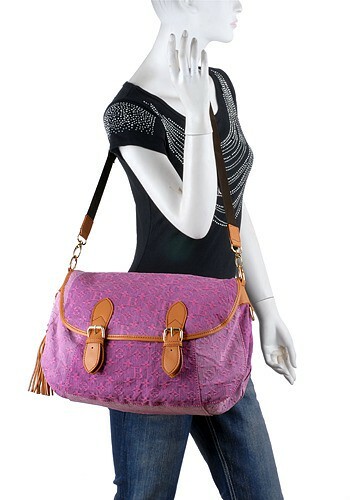 We look for a roomy bag, with lots of pockets and a shoulder strap. The shoulder strap is essential for allowing us to walk about hands-free. There’s no room in our life for added complications, so a high maintenance bag (like a clutch – just imagine traveling with a clutch!) simply won’t do. Whether you are catching a plane or train, or driving to your Christmas vacation destination, you have to carefully plan what you bring. Flying is now fraught with tension and more rules than the Code of Hammurabi. You can only carry toiletry containers of 3 oz or less. Pay extra for your luggage. Strip for security. Turn off your cellphone. Take out your laptop on the security conveyer belt. Take off your shoes. It’s tedious and annoying, which is why being organized can decrease the stress of travel exponentially. We have put together a list of some of our best travel bags. Organize your essentials in their many pockets, throw in a novel and maybe a wrap for comfort, sling over your shoulder, and go! The Big Apple Studded Crossbody Bag has an adjustable shoulder strap, an outside pocket (very convenient! ), inside pockets for your cellphone and keys, and is very roomy. 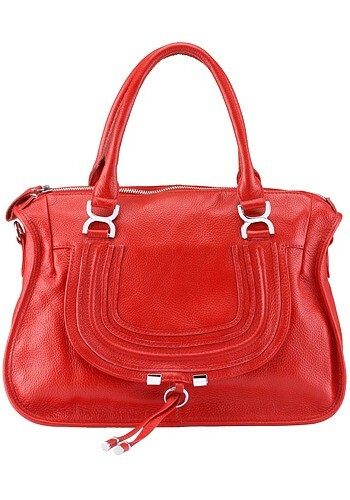 The Hottest Bag from 2010 has many pockets and pouches for easy organization, an adjustable shoulder strap, a top handle, and a flap closure. Flap closures are great because they reduce the risk of purse spills! The Trendiest Messenger Bag is the perfect size for travel. It comes with many exterior pockets for ease of use (for example: just throw your boarding pass into an exterior pocket for easy access. No fumbling at checkpoints!). Bring colorful cheer to boring holiday travel with this Louisa Crossbody Bag. It’s made from durable, washable denim and has an adjustable shoulder stap. This is an ideal casual travel bag. 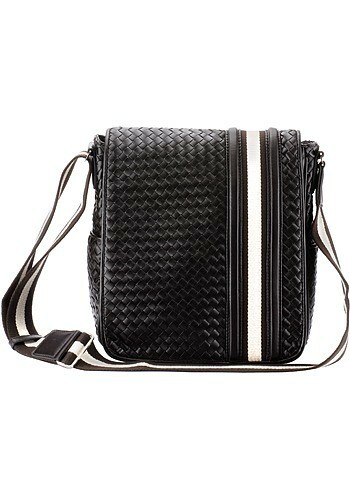 The The Ashton Woven Messenger Bag is a unisex bag that goes the distance. 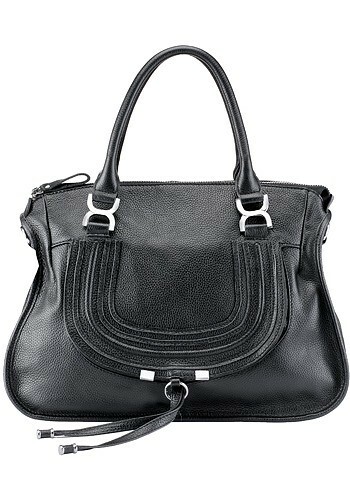 With a sporty look, and multiple features this bag is perfect for carting your essentials, from magazines to laptops. When The Osbournes first debuted on MTV in 2002, it was a revolution in American television programming. It was the first reality-based television show centering on the every day life of a celebrity family. Whether it was watching Sharon with her dogs, Jack being rebellious, Ozzy stumbling around, or Kelly pouting – America was riveted. It spawned hundreds of imitators. Think about it: if it weren’t for The Osbournes there would be no Kardashians. Kelly Osbourne quickly became a common paparazzi obsession, and the media documented and scrutinized her weight, hair color and clothing choices with a tenacity. Yet, just as quickly as she came into our lives, she was gone again. She faded quickly from the spotlight in 2005 when the show ended. Remember her “promising” career as a singer? Her muched talked about Papa Don’t Preach music video? It wasn’t that long ago that she was achieving a certain level of notoriety in the fashion world. She had an avant-garde sense of dress coupled with typical teenage mall-goth fare. She’s put the pink hair behind her (for the present). She’s now back on the scene and looking cuter than ever. When she’s not looking polished and gorgeous, she goes for comfortable scene-kid attire. On most girls this hipster look is tired. But, Kelly Osbourne is true rock royalty, and with her attitude and confidence, she can really pull it off. We are loving this new, hip Kelly Osbourne. Keep it coming, Kelly! The color grey is in season right now, and it’s one of our favorite, most versatile neutrals. Everything goes with grey, and the subdued hue allows other shades in your outfit to really “pop”. Whether it’s tights, scarves, dresses, coats or bags, you can’t go wrong with grey this winter. Pair them with teals, greens, reds, and purples to bring some colorful cheer to your ensemble. It was a tough call for this week’s bag of the week, but we decided on a rather unique new bag we got in called the The Must Have Bag Of The Year. The name raised an eyebrow, but once we laid eyes on the bag we understood. It’s busy, without being gauche. It’s sophisticated in its shape, but playful and fun with its printed pattern. The gold chain and colorful tassels remind us of quilted Chanel bags from the 1980’s, and we really dig that vintage couture vibe. 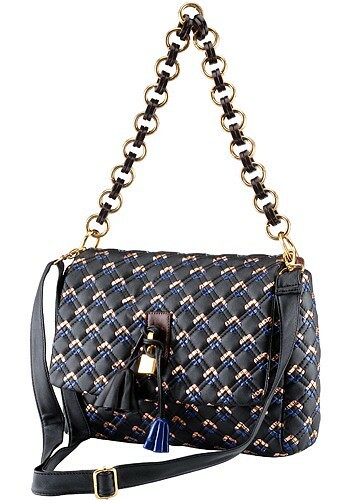 Since it’s black leather with navy blue and gold decoration, it still manages to go with most anything. It’s the perfect “not too big/not too small” size we love in a bag, and its festive appearance means it will look good at parties and fancy outings. All in all, we think this bag can do no wrong. Priced at an incredibly reasonable $45, you can see why we consider this to be the “Must Have” bag of the year. When you’re wealthy enough and famous enough to be able to carry a different bag 365 days a year, it really sticks out when you favor one bag over another. Like Lauren Conrad and her Alexander Wang bag, Katie Holmes has developed a strong attachment to her Chloé Python Marcie Hobo. The unique shape of this bag, its classic demeanor, super soft and luxurious leather, and flap detail make this one of the most covetable bags of the year. The Chloé label radiates sophistication and minimalism. It makes sense that Holmes would be drawn to Chloé. The label perfectly suits Holmes and her projected style ethos. 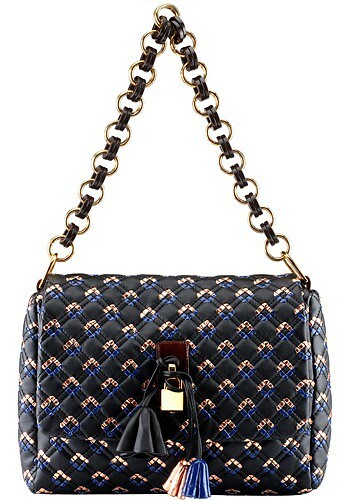 This bag suits Holmes as well: it is stylish, fashion forward, and yet still classic. 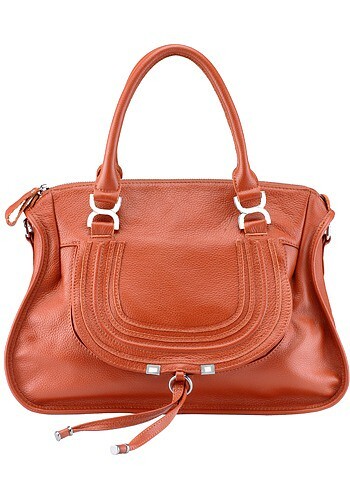 If you’ve fallen in love with this gorgeous everyday bag, but get sticker shock at the $3,735 price tag, you will LOVE our Hot Designer Style Leather Bag. 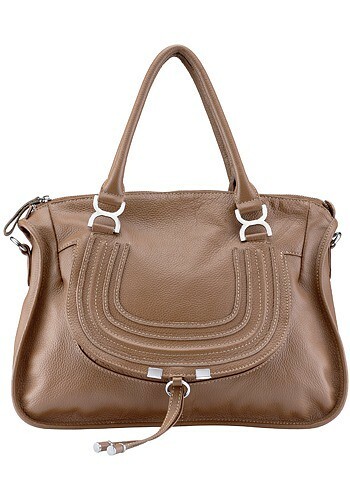 It comes in 4 yummy shades and rivals the Chloé for feel, look, but not price. In that category, we definitely win, because our bag is only $64.